Master the Six Dimensions of the Project Management Universe! Learn how to turn constraints into resources to achieve project objectives! 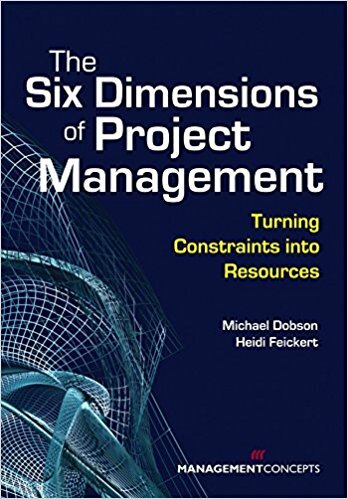 Through case studies and practical exercises, The Six Dimensions of Project Management demonstrates the six possible combinations (or dimensions) of the “hierarchy of constraints”” (time, cost, and performance existing in a hierarchy of driver, middle and weak constraint) and the specific set of challenges and opportunities associated with each. Project managers will learn how to recognize a project’s dimension and, by understanding its set of problems and resources, get the job done on time, on budget, and to spec! You will uncover hidden flexibility, unlock valuable new resources, discover threats before they turn into problems, and win the admiration of customers and projects sponsors alike. An indispensable resource for every project manager!